There is a common misconception that if you die without a will, your personal belongings will pass to your next of kin automatically. In reality, with or without a will, the probate courts will determine how to distribute your assets, which may or may not be consistent with your true wishes. Avoiding probate in The Woodlands requires you to meet with a will attorney and specify how your possessions should be divided. Wills ensure that certain belongings go to desired beneficiaries. Every probate court will review the will for validity and actually having a will, rather than an intestate estate, will speed up the probate process. 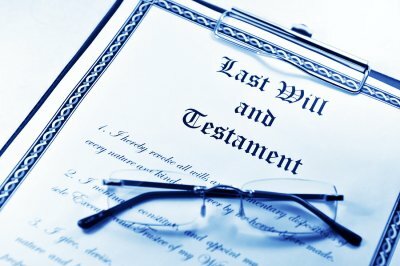 In meeting with a will attorney, you can also outline how you would like certain assets to be used following your death. For example, you can bequeath a car to a family member and express your wishes that he sell it to support his education. Even though this stipulation isn’t binding, the will allows you to convey your final wishes in giving assets to your beneficiaries. Courts only allow contesting a will in very limited circumstances. Usually, this occurs when there is evidence the will is not legitimate because the person making the will was not of sound mind. By drafting a will, you can help ease tension among family members in dividing your assets. Your will attorney can help you use specific language to ensure there is no doubt or confusion as to how you would like your assets divided following death. If you haven’t drafted a will, a probate attorney may send inquiries to local banks and financial institutions to assess your financial situation. Your family members may also have to produce financial paperwork, including brokerage statements, government bonds and stock certificates. The purpose of this requirement is to ensure all of your assets exist and can be divided equitably. Creating a will helps avoid this step because you have formally outlined your assets and provided details of their value. You can also include a contingency clause assigning a beneficiary to any assets that you don’t specifically include in your will. Meet Andrew J. Bolton, Esq. The Law Office of Andrew J. Bolton, Esq. is a law firm near The Woodlands with additional offices in Huntsville and Sugar Land Texas. Our firm focuses on the specific needs of each of our clients, whether they are dealing with divorce, child custody or drafting wills. Even though our family law attorneys are compassionate during client consultations, we provide aggressive representation in the courtroom. Andrew J. Bolton is a family lawyer and was a longtime resident of Cypress, Texas and is a current resident of New Waverly, TX. Mr. Bolton graduated from Cypress Creek High School in 1981. Following graduation, Mr. Bolton went on to earn his Bachelor’s Degree in Spanish Language at Brigham Young University in Utah. He then earned his Doctorate of Jurisprudence at the J. Reuben Clark School Of Law. During law school, he was also editor of the BYU Journal of Law and Education. 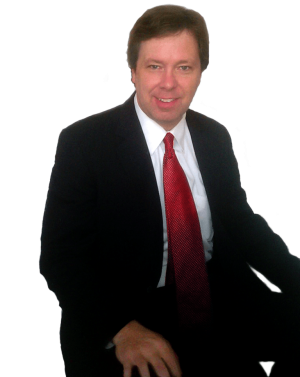 Following law school, Mr. Bolton returned home to Texas and began practicing family law. He was partner in the law firm of Bolton & Bolton, PC in Tomball, Texas and then served as City Attorney for the City of Magnolia, Texas. As a lawyer, Mr. Bolton’s goal is to provide the best quality legal representation by developing long-term relationships with clients. 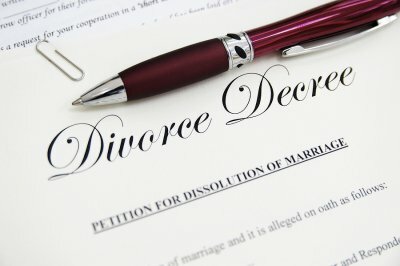 In Texas, you can file for divorce on either fault or no-fault grounds, so it’s important to work with a divorce lawyer in The Woodlands who understands both processes. Filing for divorce based on fault grounds may be advantageous when it comes to dividing marital property or assigning alimony. However, filing for no-fault divorce allows you to negotiate the end of your marriage without assigning blame or fault. Before meeting with a lawyer about your divorce claim, you need to ensure you meet the Texas residency requirement for divorce. This means that either you or your spouse must be Texas resident for at least six months prior to filing for divorce. Texas is a community property state, meaning that all income and property acquired during your marriage is considered marital property. At divorce, you and your spouse equally own the property, so division among you and your spouse is equal. In every state, the court presumes that frequent and continuing contact with each parent following divorce is in the child’s best interests. As a result, judges support joint custody agreements whenever possible. However, depending on the circumstances of your case, a judge may allocate custody differently. If you are considering asking for primary custody, you should discuss your options with a family lawyer. Following divorce, both you and your spouse are required to financially support your child. However, the exact amount of child support depends on each of your incomes, financial resources, and time spent with the child. Sometimes, a court will assign a higher income requirement if one parent has the capacity to earn more than he or she is currently earning. A child support attorney can help you calculate your potential child support obligations following divorce. In Texas, a court may award spousal support if you are unable to earn enough income to provide for basic needs, you were married more than 10 years or you have custody of a child who requires special care. However, you need to provide evidence that you made a good faith effort to earn an income.